The last beer I had on my recent US vacation was Tank Brewing’s Freedom Tower Amber Ale. Though I’d already drunk far more beer over those three amazing weeks than your Surgeon General would deem healthy, I figured one more wouldn’t kill me, and would help pass the time at Miami International Airport before my flight back to New Zealand. 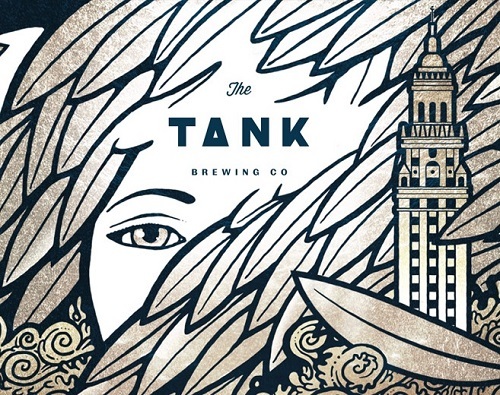 Tank Brewing: According to its website, Miami-based Tank Brewing Co. is about one thing and one thing only: exceptional craft beer. Blurb about the beer: We named our Amber Ale after Miami’s most recognisable landmark, so called for its deep ties to our local Cuban-American population. This ale features malt-y caramel flavours with subtle hints of stone fruit. Taste: Bittersweet, but that’s just because my awesome holiday is all but over at this point. Over the past three weeks I’ve been to Houston, New Orleans, Fort Lauderdale and Miami, as well as on a one-week cruise through the Caribbean. I don’t want to go home! Nor do I want this beer to end, because it’s really rather good. Dark amber in colour, it has a fruity aroma, and a strong malt backbone, softened somewhat with caramel, toffee, and stone fruits. It has a lovely bitter-dry finish, and a smooth texture. The head clings to the edge of the glass, just like I’m clinging to the edge of my holiday right now, not wanting it to end. The verdict: I’m glad I ended my holiday with Tank Brewing’s superb Freedom Tower Amber Ale, and not with an average beer like a Heineken or something. Beer/movie combination: For me, freedom is travel; it’s a long holiday like this one, where every day you wake up and do whatever the hell you want to. So, with that in mind, I’ll recommend a great little flick about two mates on a motorcycle journey in South America… The Motorcycle Diaries.